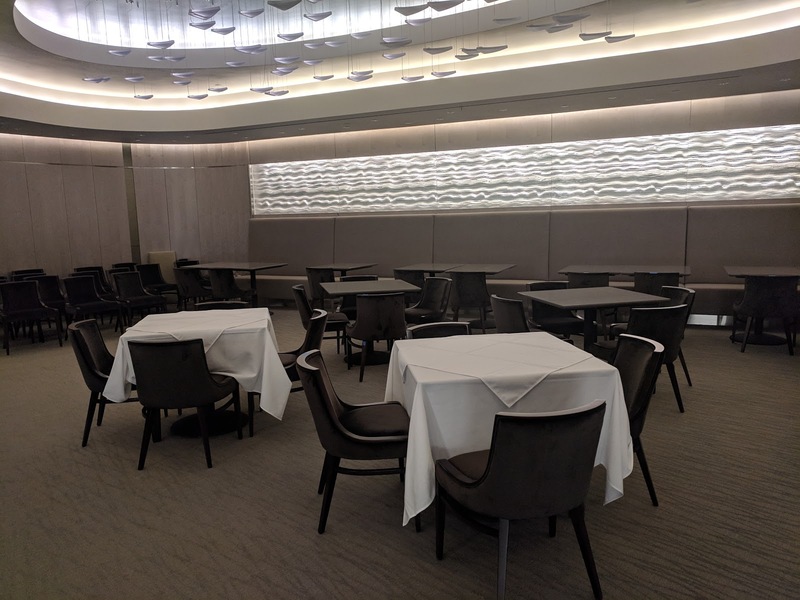 Members and staff got a sneak peek at the newly renovated West Block on Thursday, which will take over many of the functions of Centre Block in January when the latter shuts down for a decade (smart money bets the over) of renovation. While much of the attention rightly has been on the goregous new atrium House of Commons chamber, I had some serious questions for Parliamentary Food Services. View from the speaker's chair in the new West Block House of Commons. 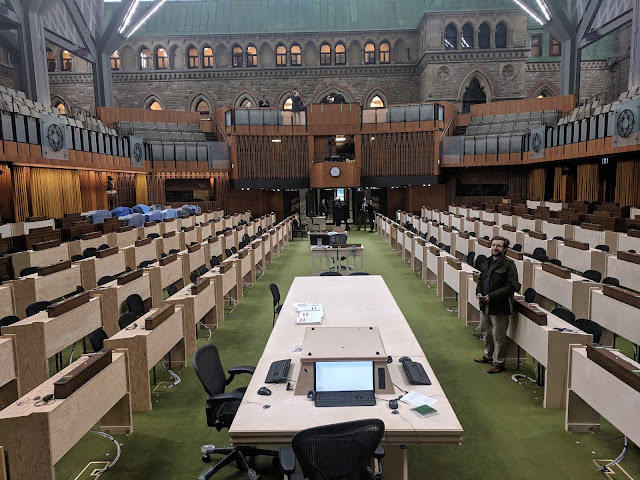 The plywood desks will be swaped for the real ones in Centre Block during the next recess. The new cafeteria is smallish, although slightly larger than Centre Block's. Longish, narrow, and a bit tight. Very minimal natural light. The food service area gives off a similar vibe to Valour's. It is certainly not the successor to the old giant West Block cafeteria; that would be, and remains, the Wellington Building cafeteria. I did chat with the cafeteria manager, and, in the spirit of this month's Poutine Fest in Hill cafs (excluding, per usual, Justice) I pitched my idea for tater tot poutine. 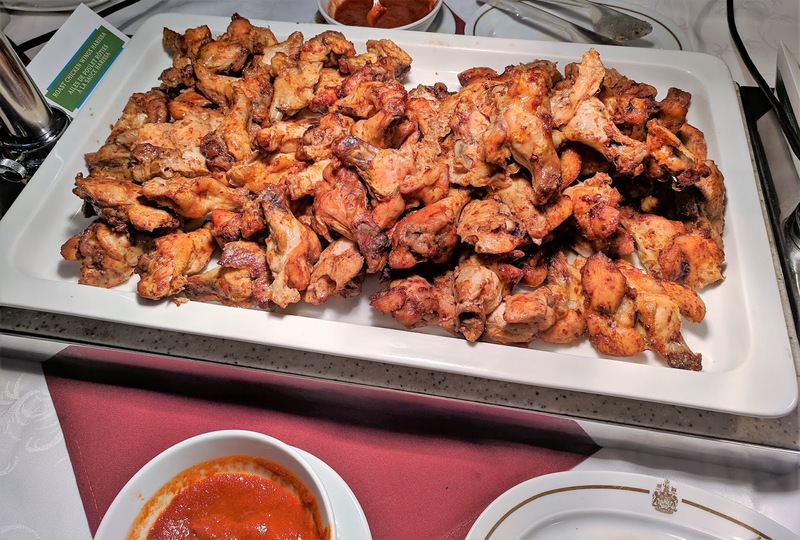 I had it at the Chicken Farmers reception at SJAM and it was ah-mazing. He listened with interest and pledged to look into it. Or he just humoured me. Anyway, if you see it on the menu soon, you're welcome, Parliamentary family. 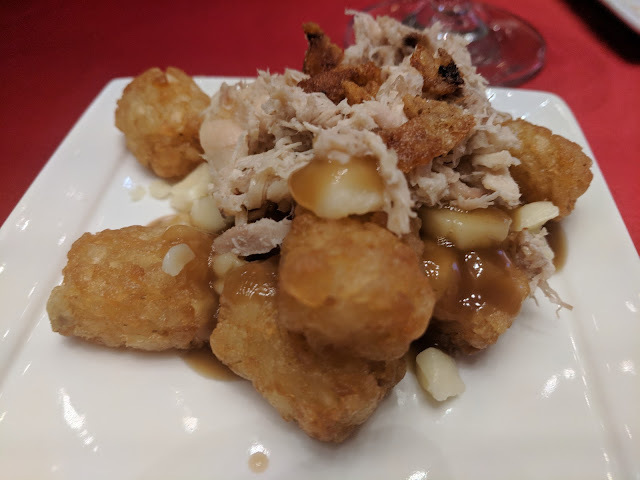 Tater tot poutine with chicken. I had two plates. Amaze-balls. Anyways, the more newsworthy conversation was next door at the new space for the Parliamentary Reasturant -- they're side by side and share a kitchen. It's signifigantly smaller than its predecessor -- maybe a third of the seating -- but includes a bar and a wine rack. No natural light at all, which they tried to make up for with some classy artistic touches. It feels a bit like a swanky wine bar. Something is missing from this new Parliamentary Reasturant. I asked, for me, the big question, as I stood with the reaturant manager and peered around the room: where will the buffet be? Then, my heart fell. There's no space for the buffet, she told me. They're now serving over priced gourmet breakfasts, she told me, but I'm not a $20 eggs guy. I'm a $20 all you can eat meat-filled buffet lunch guy. But those days are sadly, coming to an end. 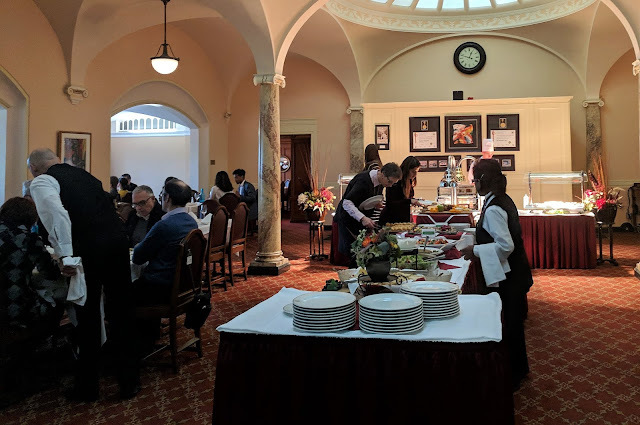 In addition to the popular post-caucus, member-only buffet lunch Wednesdays, the Friday staff-invited theme buffets have become a popular treat for member and support staff and their guests. Some friends and I are regular buffet lunchers, and they usually run out of reservations by Wednesdays. They will be missed. 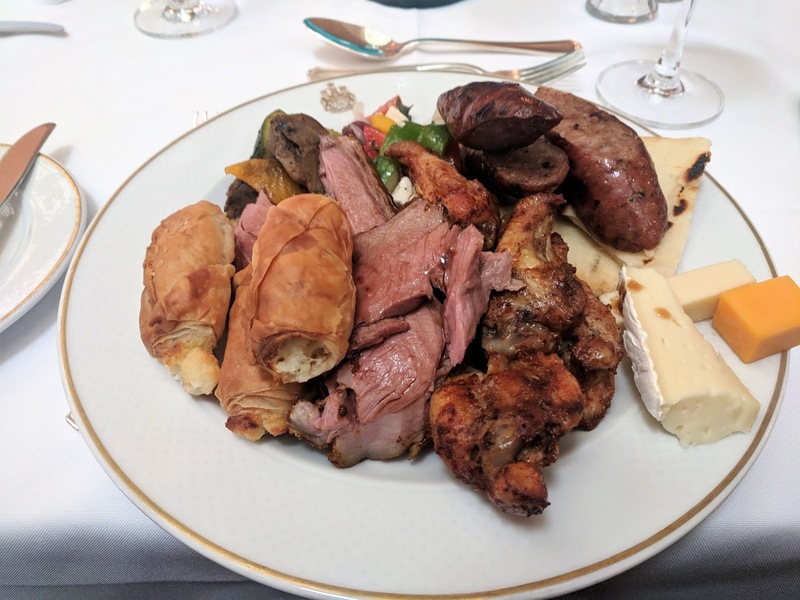 So I was determined to savour this past Friday's Mediteranean Treats buffet back in the OG Parlamentary Reasturant, as I know it's the final countdown. The days for the Parliamentary Reasturant buffet are numbered. The weekly themes wll vary although many of the menu items remain consistent. What I look for when I examine the buffet menu on a Monday is meat. Some menus skew more towards breakfast/brunch. Lots of quiche and stuff like that. I want lunch though. 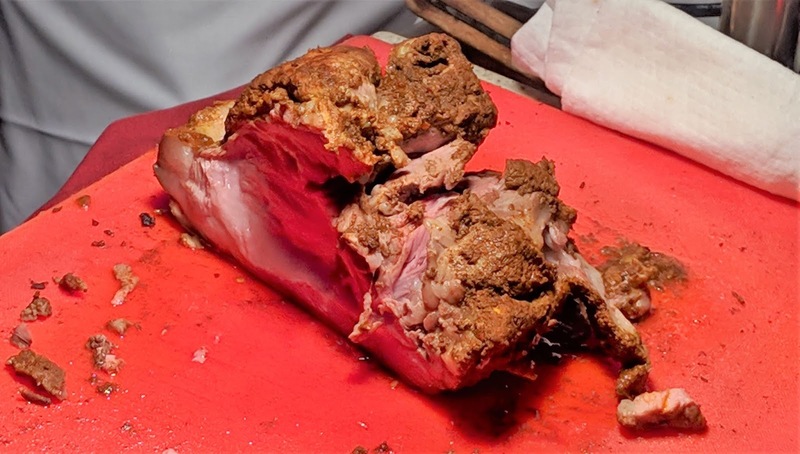 A meaty lunch. Veggies, yes But meat = value. This week's buffet ticked the boxes for me and I quickly booked a table. Roast lamb, chicken wings, Greek sausage, check, check, check. The lamb was surprisingly tender, wings tasty and plentiful, and the sausage a tad dry but still well spiced. I don't know how many of the cheese pie things I had, but it was a bunch and they were delicious. 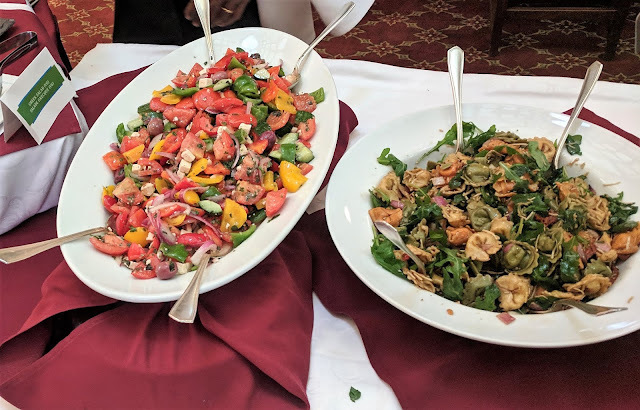 I had just enough Greek salad and roast vegetables to keep up appearances. Sausage and delicious flaky roles of delicious melty cheese. Desert was a miss for me, but that just left more space for cheese pie. Excellent value received for $19.50 plus tax and tip. I shall savour the remaining weeks, and some day look back sadly on my buffet (minimal) salad days.